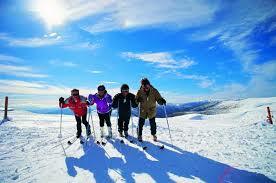 Mt Hotham is located in Victoria and is considered to have some of the best ski terrain in Australia. The Arlberg is located in the heart of Hotham, with ski-in-ski-out accommodation and all the facilities you need, there is no better location to stay. The complex is perfect for school groups with on-site ski hire as well as a pool and multiple restaurants to choose from. Depart school early. Arrive in Mt Hotham, get fitted for ski and snowboard gear and then settle into accommodation. A 2 hour lesson at Hotham followed by free skiing for the afternoon. A 2 hour lesson in the morning and the afternoon off to explore Hotham, before night skiing for the evening.